Bolide Movie Creator for Windows 10 - Easy-to-use video editor with extensive functionality. The application works with most well-known video formats. The program provides the user with the ability to fully edit video files and even create their own clips or presentations. Utilities can combine individual fragments into one film, use additional effects, use text comments, add audio tracks and change the length of clips. The interface is designed to be as user-friendly as possible, helping you navigate through a variety of tools. 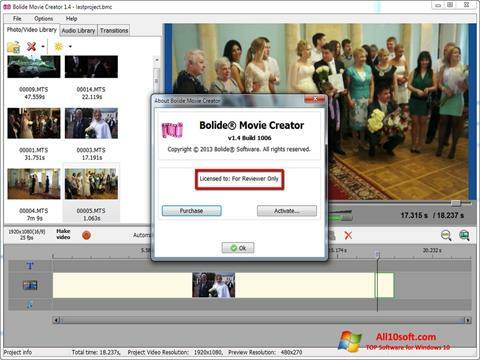 You can free download Bolide Movie Creator official latest version for Windows 10 in English.